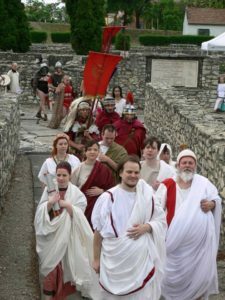 This is a basic informational site and record for the res publica and citizen community of Nova Roma, that is, the loyal citizens of Nova Roma who wish to support and continue the mission of Nova Roma started 20 years ago, and to do so in an environment free from the corporate coup d’état of Caesar and Sulla. Promoting, advertising and serving the goals and interests of Nova Roma, Inc. This website (nova-roma.org) does not represent the corporate body of Nova Roma. 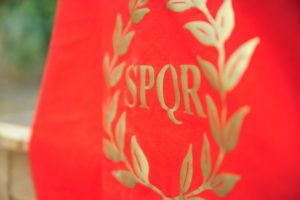 In macronational terms, we are not a legal person, but simply an unofficial movement of the members and supporters of Nova Roma who seek to restore Nova Roma to its original goals of promoting education, culture and community as determined by the Declaration of Nova Roma, and by our founders, Cassius and Vedius, and to help the corporation of Nova Roma to grow, to thrive, and to be reformed as a loveable, positive and active organization, which is a key to success. Our free community is the living Republic of Nova Roma, founded in 1998 by Cassius and Vedius, as the Corporation of Nova Roma does not currently represent the Republic and the citizens of Nova Roma. The Republic and the Corporation are no longer identical due to the fatal attack on the Corporation by the Sulla-Caesar Faction, as a result of which the Corporation ceased to function and ceased to represent its members. The stronghold of the Nova Roma community and the driving force of our mission among the citizenry is the Saving Nova Roma Movement (this is the community of the plaintiffs of the lawsuit) which fights for the restoration of the Corporation of Nova Roma to give back control to the membership.